Heroes and volunteers. Rescue teams, police and hospital workers went above and beyond the call of duty to come to the aid of those in need, logging in long hours and setting aside their own comforts and event safety to serve other people. Volunteers wasted no time, springing to action even as the disaster was still unfolding. They braved the strong rain and the flooded streets to get to relief centers, to cook meals, to pack goods, to get people to safety, to let the hapless know they weren’t forgotten. Those who couldn’t leave their homes raided their closets and pantries for things they could donate and used the Internet to disseminate important information. Donations have been given and pledges have been made even by people outside the country. We wish we had all their names so we could honor them. They are all heroes. The Filipino Spirit. It really is unsinkable. Twitter. The social networking site played an important role in relief and rescue efforts during the disaster. Because of Twitter, people were alerted, prodded to help; they knew where to go, where to send relief goods, who to rescue and which roads were flooded. There is a lot of power in 140 characters. Eco-friendly relief. There’s a more conscious effort now to make sure that the relief goods sent out are eco-friendly. People are trying to use biodegradable or reusable bags for packing goods. 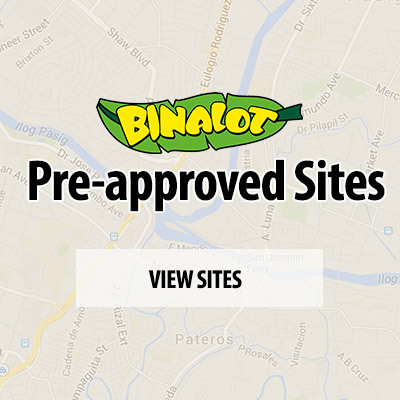 A lot have also chosen to pledge Binalot meals (visit http://binalot.multiply.com/collection/7/BINALOT-Pledges). Providing relief for those affected by the flood is a great thing. But we also need to do everything we can to avoid another disaster–and one step is not adding to our country’s already big garbage problem. Salamat po sa inyong tulong! Thank everyone for pledging, supporting, and retweeting our calls for pledges. Binalot has begun accepting donations at its Salcedo Village, Makati City branch for those who have been affected by the recent calamity. Pledge cooked Binalot meals to be sent to evacuation centers. 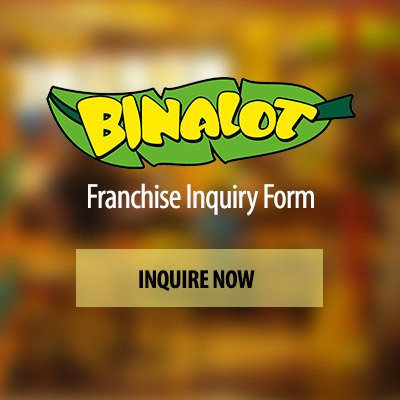 You may pledge meals by clicking http://binalot.multiply.com/collection/7/BINALOT-Pledges. Choose package and make payment via credit card, BDO, BPI, GCASH, Smart Money and PayPal. Please specify your contact number when you make a pledge on the Multiply page. You may give us the specific evacuation area where you want the meals to be sent and we will deliver the meals to that area if possible, or we can allocate your pledges to relief and evacuation centers we are in contact with. You may fill out the Name/City/Province/Phone#, put an asterisk (*) for the rest, then click on the ‘Use this Address’ tab. You may also pledge cash directly at Binalot Hangout at Salcedo Village, Makati and we will coordinate with relief and evacuation centers. Please drop off your donations in kind (clothes, toiletries, blankets, canned goods, water, medicines, etc.) at Binalot Hang-out Salcedo at H.V. Dela Costa cor. Valero Sts. Salcedo Village, Makati City. You may call 889-2660 for directions or refer to the map here: http://bit.ly/N2ksgi. For more information about our donation drive, follow us on Twitter at www.twitter.com/binalot or check our Facebook page at www.facebook.com/binalotfiesta . We will constantly be updating our social networks for news and information. Please do help us spread the word by sharing this post. The more people know about this, the more people we can help! The Franchise Asia Philippines 2012 held at the SMX Convention Center last July 25-29 was a resounding success. This was a two-day conference/seminar and two-day expo event that the Philippine Franchise Asia (PFA) group mounted, coming fresh from their success at the World Franchise Confederation and Asia Pacific Confederation which the PFA organized and the Philippines hosted and where franchise leaders from 40 countries participated. This event validated our claim that the Philippines is Asia’s franchising hub. Judging from the crowds that gathered at the venue for four days, they must surely have surpassed their target of 50,000 visitors at the Expo. More importantly, the event sparked a greater interest in franchising among our people, thanks to the undying efforts of the franchise advocates led by PFA Chairman Emeritus Samie Lim and chairman Robert Trota who both share the advocacy of spreading the good news about franchising and entrepreneurship.